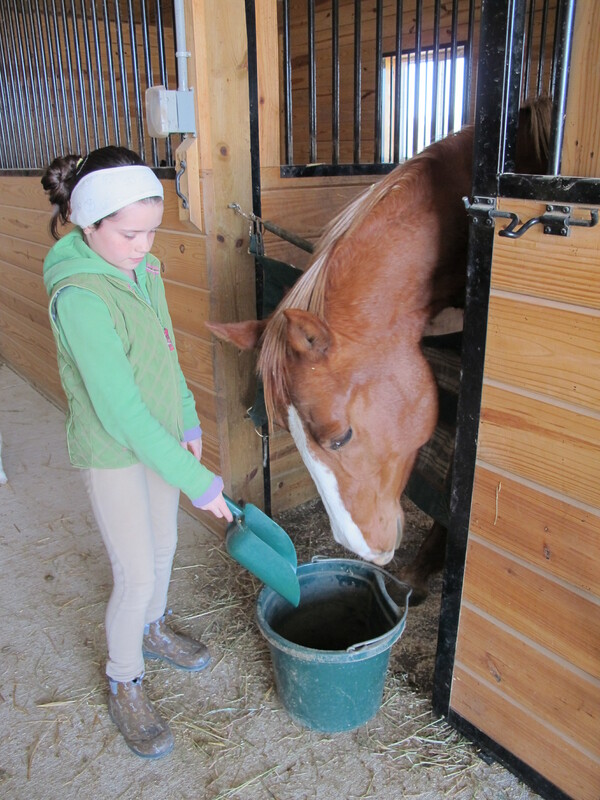 In my travels as a certified FeedMaster™ equine nutrition specialist I visited 100s of horse farms. I witnessed over and over some simple “mistakes” that horse owners make that really can impact their horse’s health and the value of their nutrition program. 99% of the time it was due to lack of knowledge therefore I thought I would share some insight that I have learned to be true on this subject. I always like to use analogies in my attempt to get people to understand the complexities of equine nutrition. So here goes. You wouldn’t think a guy who sits on the couch all day would need the same diet as a guy who is a marathon runner…right? Right. The same is true for horses. The quarter horse that gets an occasional trail ride has different dietary needs than a three star event horse. Someone who has diabetes will have a different diet than someone who is not as sensitive to sugars. 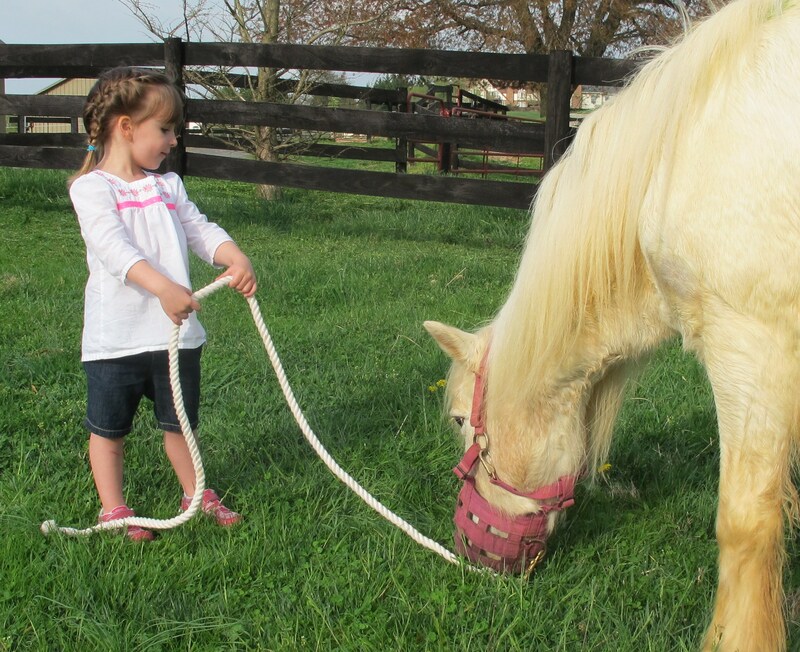 The same is true for our equine friends; a horse with insulin resistance cannot eat the same diet as one without. One more analogy to sink this in…A person with a high metabolism (yeah, the naturally skinny people) can eat things that someone with a slow metabolism can’t. Weather or environment- Are they exposed to cold? This will increase caloric requirements. 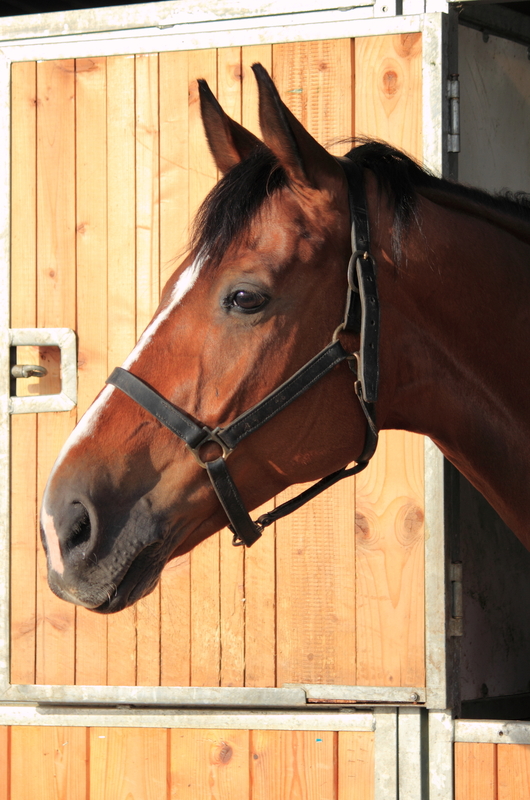 Management or housing- Does the horse live in a group setting where he is a part of a pecking order? Do they have their own stall to eat in or are they doing the fence feeder shuffle? If you have a variety of ages, uses and types of influences (see above) you can tailor your feed program for each horse with simple solutions that don’t require 14 different feedbins in the feedroom. More on that later in the post…..
Just like humans (and most creatures) horses need a certain amount of calories per day to maintain their weight. The average human female can eat 2,000 calories per day and maintain her weight. The average man 3,000. If the person is exercising or eating a restricted diet these caloric limits can change from this maintenance level. If a person is sick or their lifestyle has recently changed their nutritional demands will need to change. Horses are much the same. It’s pretty simple though …Calories in. Calories out. You can see that a horse in work has double the caloric need than maintenance. There are three things to know in order to adjust the amount of calories in your horses’ feeding program; first you need to know the current weight of your horse, next you need to understand the caloric value of your feed and hay and lastly, you need to know what an actual pound of your grain and hay looks like. Much like a human on a diet, to stick to a 1,500 calorie/day diet you will need to know how many calories are in a serving of the food you are eating!! It’s easy to get this number though, you can invest $15 in a food scale or you can put a “scoop” (whatever you use) of your grain into a gallon bag and take it with you to the grocery store. Use the veggie scale and there, you have the pounds per “scoop”. How Much Does The Grain Weigh In That Scoop? You can easily calculate the weight of a “flake” (slices, pads) of hay by standing on a bathroom scale, recording your weight, step back on the scale while holding the bale of hay. Subtract your weight from the total to determine the weight of the bale. Cut open the bale and count the number of “flakes” that are there. It’s not perfect science but it’s close enough. Now divide the number of flakes into the weight of the bale. There, you have the weight of a flake. You can also buy a digital luggage scale and put a flake into a hay net to weigh it. Why is this important? 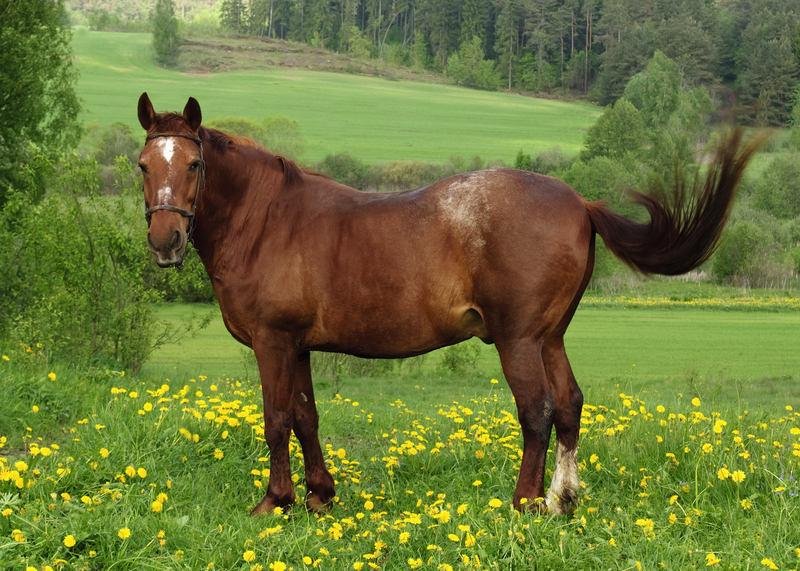 For optimal health, horses need to eat 1 to 1.5% of their body weight in hay or pasture grasses and legumes daily to reach the calories they need to live. Horses will generally eat about 1-1.5 lbs. of pasture grasses and legumes per hour on a dry matter basis. Therefore, if they don’t have that, the rest of their calories should come from a grain supplement. 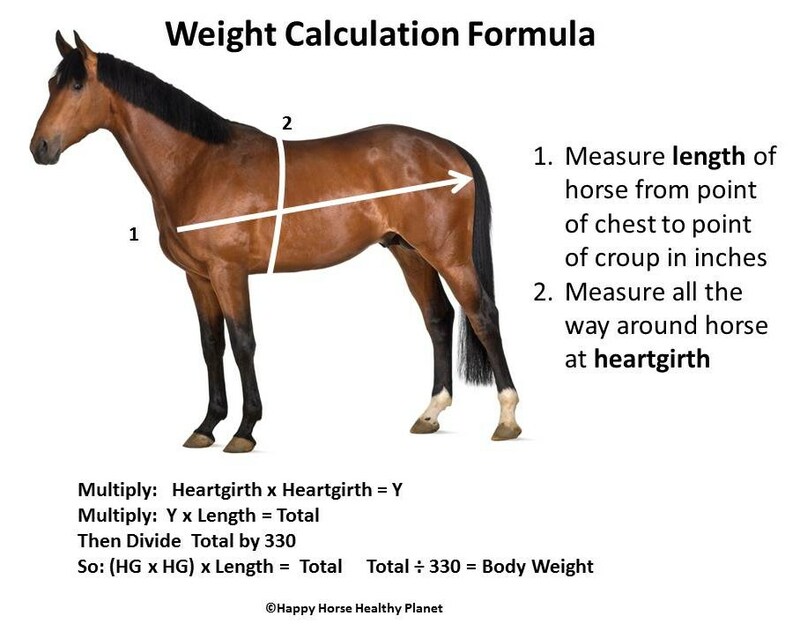 Now, figure out how much your horse is eating in hay and grain from your weight calculations above. You should see if you are on target and what’s off if you are having trouble maintaining a healthy weight. For example, if your horse weighs 1,000 lbs. and he’s doing nothing he needs 15,000 calories per day to maintain his weight. 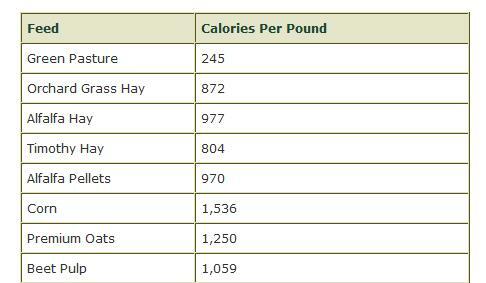 If you are giving him 20 pounds of good hay per day (roughly 6 flakes) that equals 16,884 calories. Add any grain you might give him (for example 2 pounds at 1,500 calories a pound) and you’ve added another 3,000 calories for a total of 19,884! Too much for a horse not in work! Even if you don’t want to count calories you should still know how much your feed weighs and feed by weight. Simple formula. 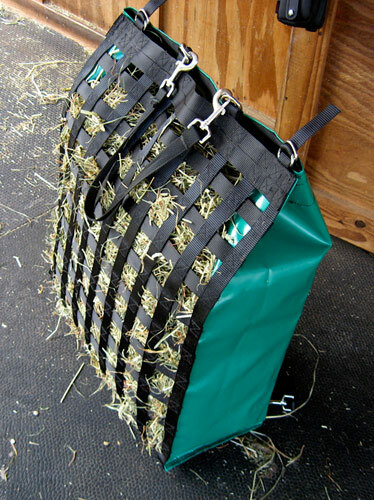 A horse needs 2% of body weight in feedstuff (hay alone and maybe grain) per day. So if you don’t know what anything weighs how do you know how much you are feeding? Too many horsemen forget this important fact and only concentrate on the value of the grain part of their horse’s diet. 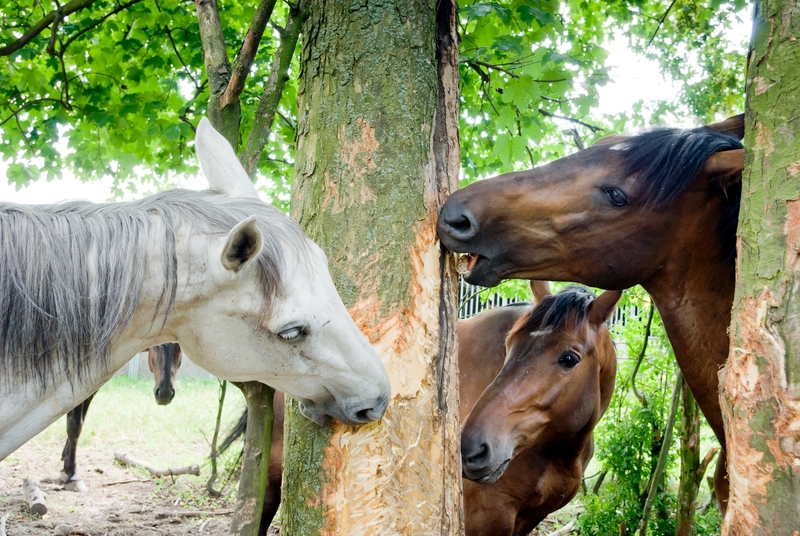 In fact, many horses really don’t even need any grain in their diet. Those with good quality forage can easily get along on just pasture or hay. They are designed to eat this type of food so they are efficient at digesting it and getting the nutrients from it. Of course if they have any of the influences I mention in the first part of this post, then a balanced approach to their ration might be necessary. Adding grain for a supplemental source of calories and nutrients for the hard working or pregnant horse, subtracting quantity of forage but adding a forage balancer for those with restricted diets. 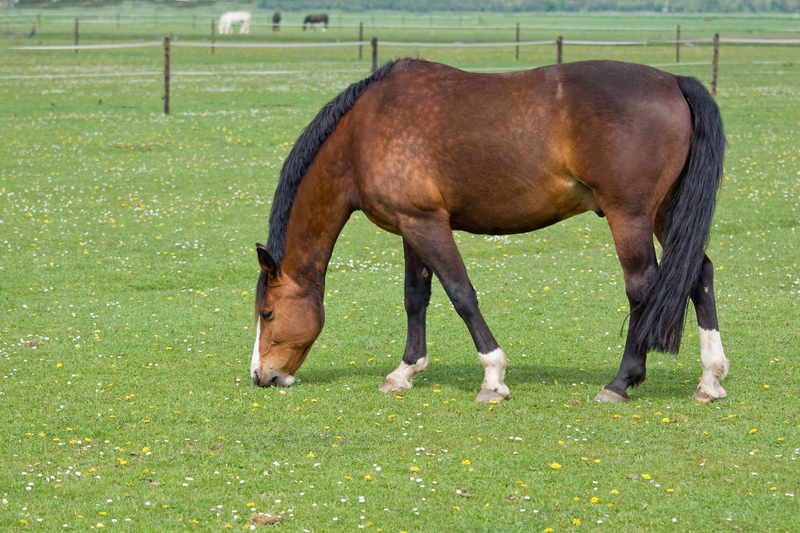 Basically, if the horse can’t meet his nutrient requirements with hay or pasture, then you add grain to his diet. This is where horsemen tend to go astray. They usually make one of these common mistakes (sometimes both! ); they buy the cheapest hay they can find and then feed grain because the horse doesn’t thrive; or they overstock (and overgraze) the pastures so the horse gets little to no nutrients from the grass. This is big and can end up costing more money and can contribute to health problems. As you can tell, I like to make human comparisons. Seems to help humans understand. So here goes. If a person is designed to eat a well-balanced diet of fruit, veggies, protein and carbs but eats too much fat, sugar and starch what happens? They get fat. They can get sick. Conversely if they don’t eat enough good calories they get thin. They get sick. Horses thrive on forage. It’s good for their inside, they metabolize it better, extract more nutrients from it and it helps them avoid common grain related illnesses like colic and ulcers. Eating forage is also good for their brains. Without enough grass or hay to graze they can develop behaviors to simulate the grazing behavior, like fence or tree chewing. Damage which costs money to fix. Feed good forage and you will feed less. For example, calorie dense alfalfa requires less as the horse can naturally digest it better than grain. The problem with crappy, cheap hay is it has too much lignon in it which fills them up but has very few nutrients. It takes longer to get through their system so they get too full, stop eating, and waste hay. (Last human comparison for now) Think of white bread. You get full on it but it’s not going to make your hair shiny. So feed forage first!! The good stuff! Give your horse what he was designed to eat. You might just save yourself some moolah too! Even the domesticated horse is happiest when he can munch away the day. Excessively restricting his access to food may cause a stress response that some researchers are linking to obesity in these easy keeping breeds. When a horse is hungry (and all horses would be hungry with a flake of hay and a “handful” of grain per day!) he worries about his next meal. Searching for their next meal is an innate trait in horses because in nature all they really have to think about is finding enough to eat to survive. Putting an easy-keeper in a starvation paddock and removing most of the food from his diet can send them into starvation mode, which basically tells his body to conserve because he is starving. It might even lower their metabolism permanently and lead to undesirable behavior. 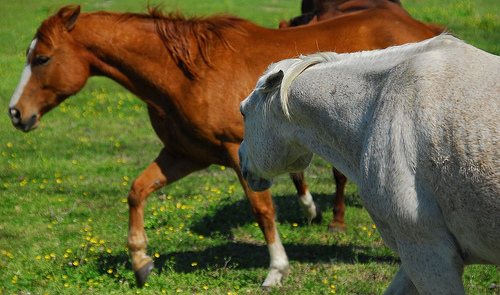 The best way to feed these horses is by slowing them down. By restricting the amount they consume but allowing them to behave the way they normally would. 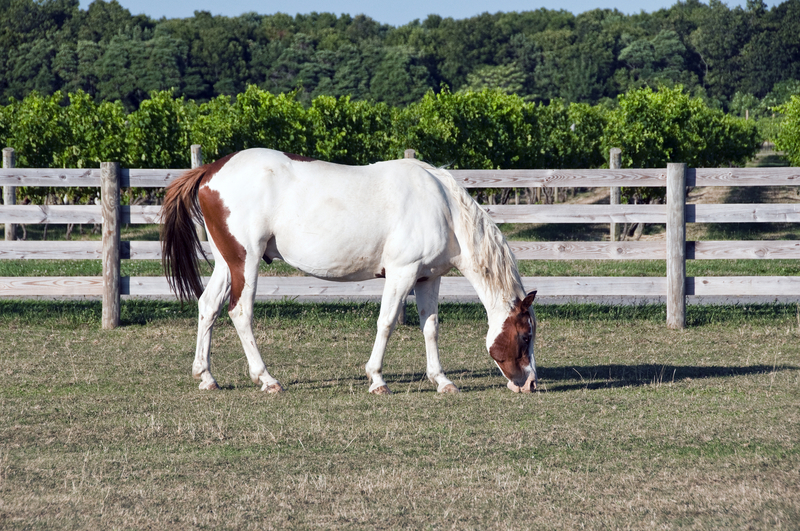 Using grazing muzzles and slow feeders goes A LONG WAY in helping these horses maintain a normal weight. Allowing them to graze through these devices allows them to avoid the stress of being hungry. It’s like a person ;-). If you restrict a person’s food intake in an effort to lower calories they ultimately fail in their weight loss. They get stressed out by the amount of food they don’t get to eat. They get grumpy. Slow feeders are also perfect for the horse confined to the paddock, the horse that is stall bound and the horse that bolts its feed! There are many options out there from simple hay nets with smaller holes to elaborate boxes with grates. 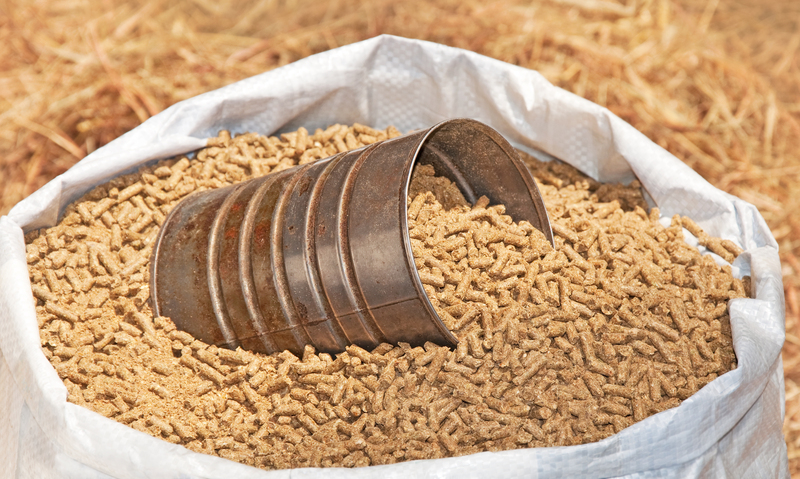 One final note: If you are going to feed “a handful of grain” make it at least be a highly concentrated supplement that offers a full source of the horses’ daily nutrient requirement in a small amount. This is a big one. I am not sure where it started but I have heard this all my life. Horsepeople are so geared toward thinking “protein” that they usually reply “A 10%” when asked what they feed. 10% what? Protein? Fat? Fiber? They are all equally important. But no it is always protein they are referring to. Poor protein. Such a bad rap. 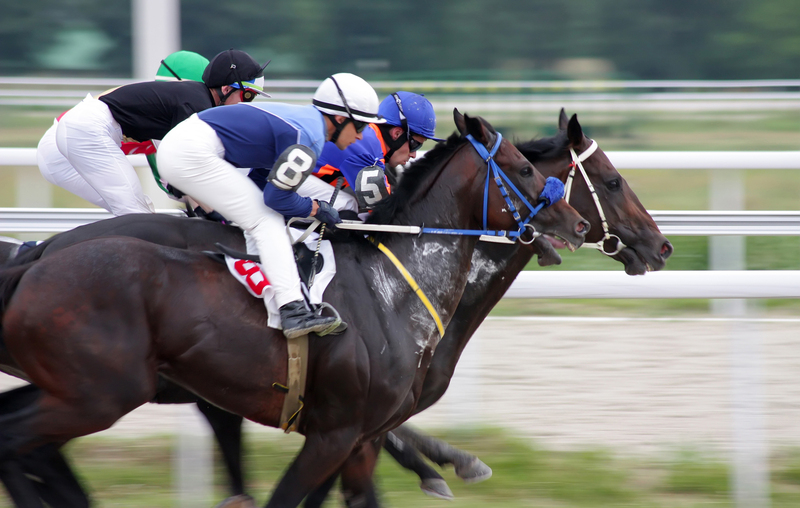 The truth is though it is really important and the correct amount is necessary for metabolizing nutrients, muscle development during growth, muscle repair during exercise and in the aging equine. The main building blocks of protein are amino acids. These building blocks connect and offer a horse the foundation for good bone and muscles. 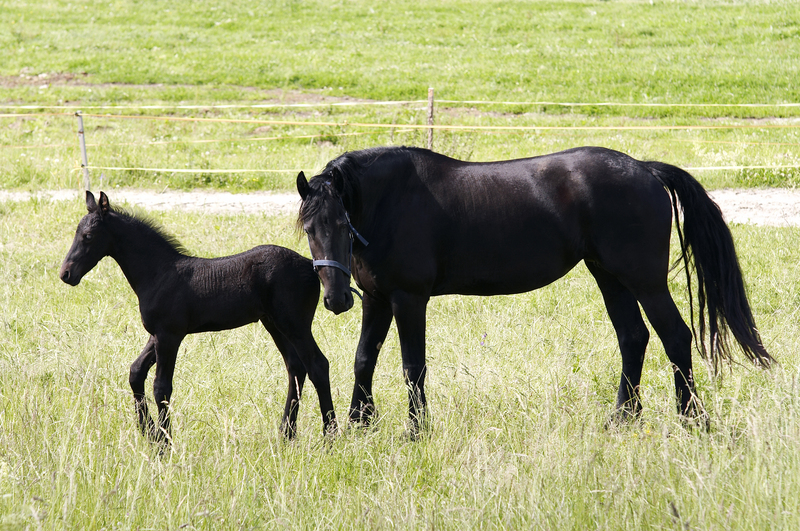 Most adult horses only require 8 to 10% protein in the total ration, but a higher protein is important for a horse in work, lactating mares, young growing foals and the senior. When horse owners believe that protein causes a horse to get “hot” they tend to underfeed it. I see a lot of horses that are “ribby” and have no topline but have huge bellies. 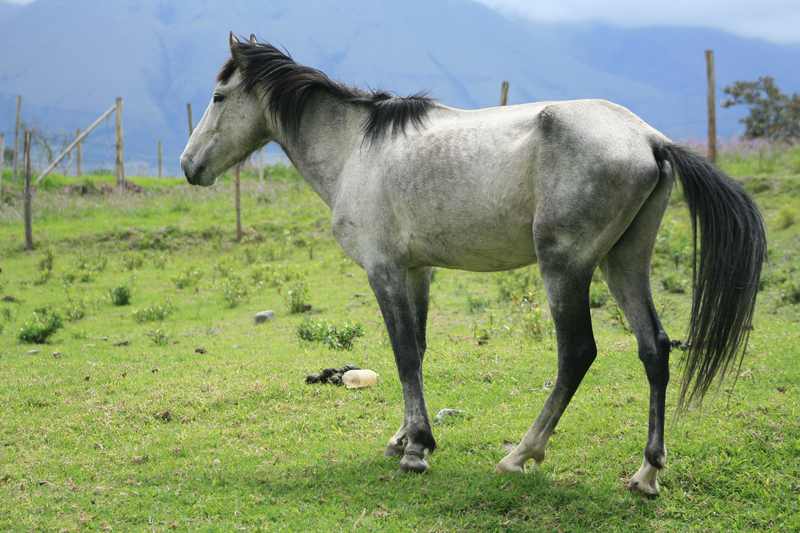 This is the typical horse that is lacking sufficient protein. The horse owner usually feeds average hay (low in protein) and a 10% grain but not at the rate suggested by the formulation to reach the 10% ration. 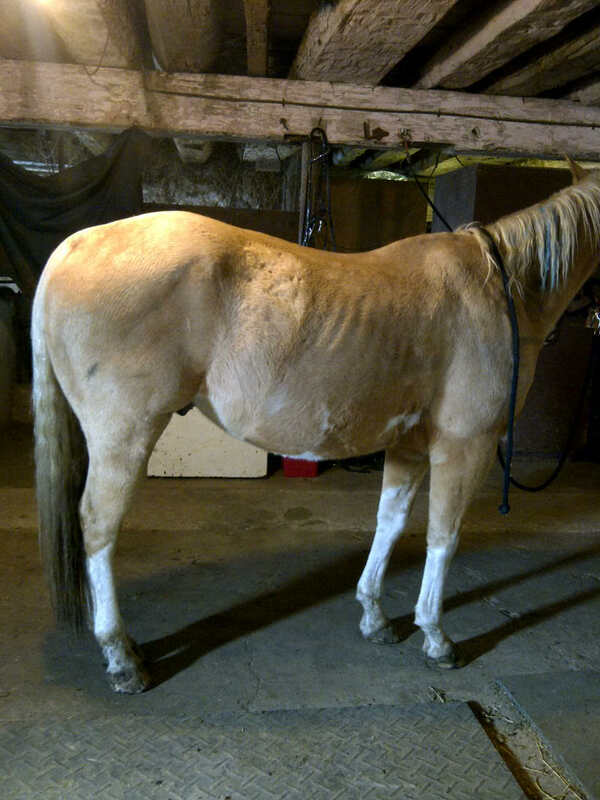 The horse I usually see in this condition is either in has extra stress (thus extra nutrient requirements) such as regular work, is a baby or is old. The protein requirements for these horses is usually 14% or more. 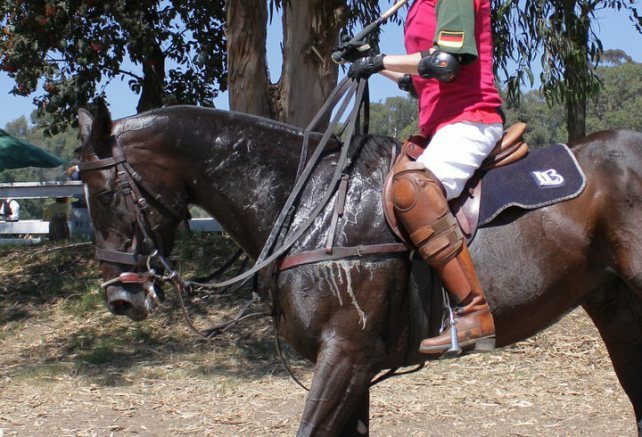 Working horses need fuel to perform as well as repair the breakdown of muscle from work. Think of the human weight builder (I know another human comparison!). What is the first thing they consume after lifting? Protein. To rebuild what they just tore down during their workout. Same with horses. 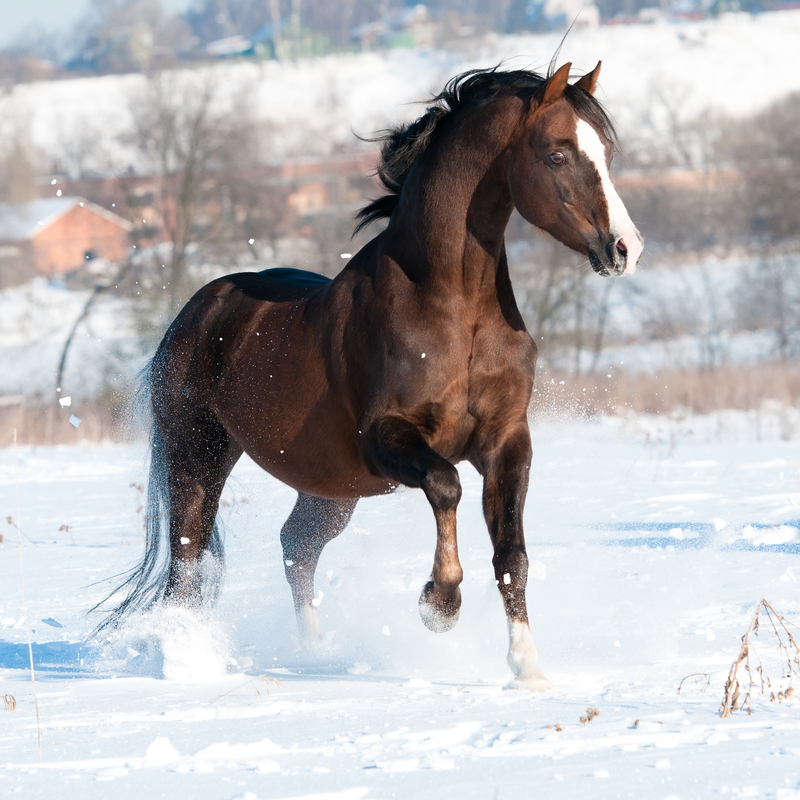 The young horse needs a higher protein for the development of bone and muscle. Without a good foundation of the amino acids (building blocks) from protein, they have nothing to build their body with. I see so many foals with obvious protein deficiencies due to the owner being afraid of overfeeding protein. 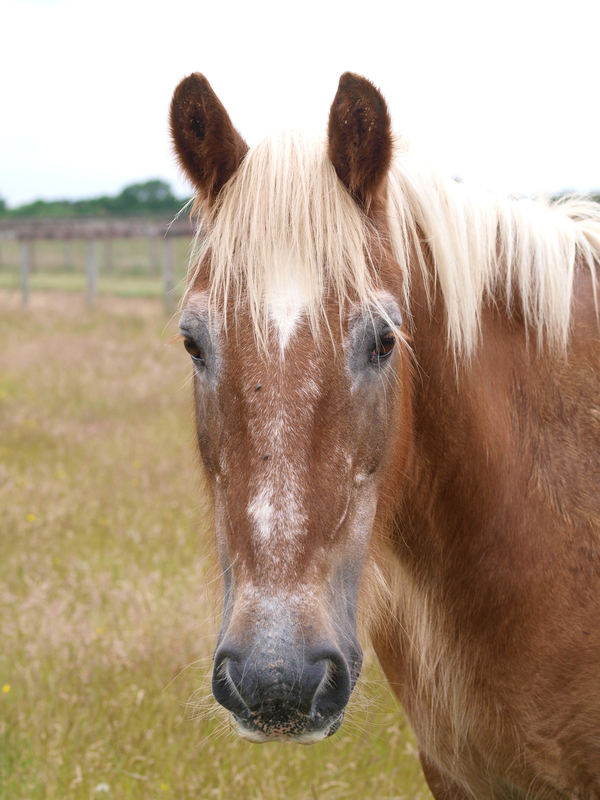 Older horses need a higher protein because they cannot metabolize their food as efficiently (from teeth and other age related issues) so they don’t absorb as much nutrients from their diet. Anything old is less efficient than when it’s young, and I should know . Unfortunately, these guys usually get the “Oh, I don’t worry ’bout him as much because I don’t use him.” Truth is, due to the natural aging process, an older equine probably needs more of an owner’s attention. It’s hard to overfeed protein. However, because horses pee out what they don’t need excess protein can result in increased water intake and urination. Formulated feeds are designed by experts to provide the correct levels of protein each horse needs according to their age and use. This is why formulas for athletes, growing and seniors usually have at least 14% protein. Be sure to calculate the protein content of your hay into the total daily ration before you decide on a feed though. There you have it, the five most common things I see. I hope you found some useful information in this post!